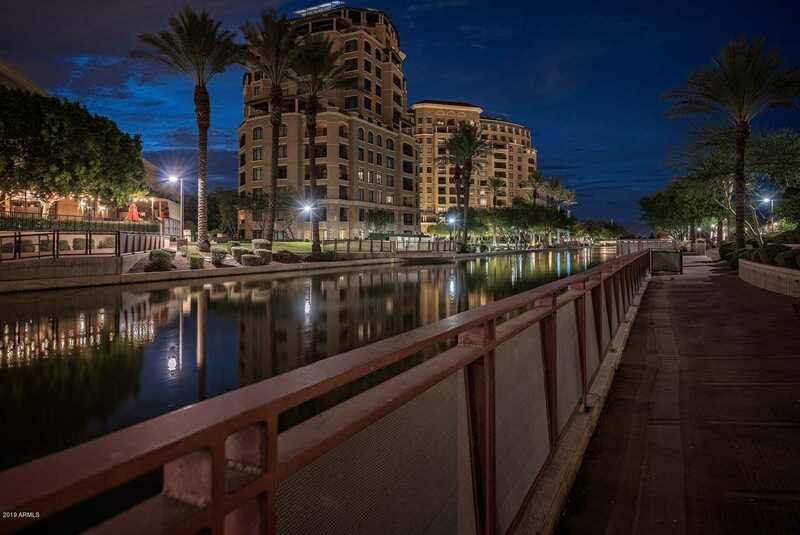 Stunning Luxury Hi-Rise at the Scottsdale Waterfront. 2 Bedroom 2.5 Bath Remodeled Corner Unit with Big Views! Split Floorpan with well-appointed finishes: Wolf Sub-Zero Appliances, Custom Black Walnut Kitchen, Quartz Waterfall Countertop, LED lighting, Motorized Shades, Custom Closets, and Seperate Laundry Room. Central Scottsdale’s most prestigious building that is highly amenitized with Valet, Gym, Social Club, 2 Garage Parking Spaces & Additional Storage Unit. Luxury Urban Living at its finest walking distance to fine dining, shopping, sporting events, museums, night life and entertainment. Full wiring update in 2016. Full plumbing update in 2016. Approximate size: 1959.00 sq. ft. Please, send me more information on this property: MLS# 5881151 – $1,899,888 – 7175 E Camelback Road Unit 606, Scottsdale, AZ 85251. I would like to schedule a showing appointment for this property: MLS# 5881151 – $1,899,888 – 7175 E Camelback Road Unit 606, Scottsdale, AZ 85251.